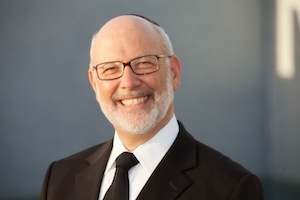 by Rabbi David Lapin	in	Shabbat & Holidays, General	on May 18, 2015 . The world’s growing intolerance for a Jewish State – like anti-Semitism – is an emotional issue, not a rational one. Emotion cannot be countered with reason. Emotion can only be countered with emotion. I left Israel for the UK on June 4th, 1967, a day before the outbreak of the Six-Day War. Barely seventeen, I arrived there a few weeks earlier to start my Yeshiva career in Kefar Hassidim, a small agricultural village eight miles south-east of Haifa and less than 40 miles from the Syrian border. I recall speaking to a commander of a military camp that had been erected very suddenly on the route from my Yeshiva to Haifa. As he explained to me in a somber tone how the military was preparing its defense of Haifa, I realized that if that scenario transpired, my Yeshiva and I would be on the Syrian side of the defense line. Later, after the war was over, documents were found in Arab communities around Kefar Hassidim detailing the allocation of each home and woman in our village to particular Arab families and men in the surroundings. I was terribly conflicted about whether to stay in Israel or transfer to Gateshead Yeshiva where members of my family, master Torah educators were Roshei Yeshiva. Finally, on my parents’ wishes and my Rosh Yeshiva’s instruction, I decided to leave. They believed the inevitable war would be a long one and they knew as I did, that there was little if anything I could do to help. I had to take every opportunity I could to maximize the time I had set aside for Torah study without distraction. If this meant studying in a Yeshiva outside of Israel, then so be it. They also feared that the outcome of the war might be catastrophic. I shared that fear. I saw preparations being made for the burial of thousands of people. I had heard that when the Ponevezer Rav, Rabbi Yosief Kahnnaman z”tzl made an offer to Defense Minister, Moshe Dayan, to make his Yeshiva students available for the war effort, Dayan, hardly a religious man by any description, told him the best they could do for the war was to pray, say Tehilllim, and perhaps later on help to dig graves. Flying over Tel Aviv with tears pouring from my eyes, I craned my neck to gaze at the receding coastline as I heavy heartedly bade farewell to an Israel I did not expect ever to see again. Later that same day, Sunday June 4th, I was traveling on the Flying Scotsman, the express train service from London to Edinburgh on my way to Gateshead Yeshiva across the River Tyne from Newcastle, just some sixty miles south of Scotland. The train was full and the conversations were about the looming war in the Middle East. The people around me were from a wide socio-economic spectrum; rough looking youth to elegant ladies and gentlemen. I was horrified by all the conversations around me. The assumption without exception was that Israel would be obliterated by the mounting military threat from its neighbors. Most shocking of all was the blatant glee with which that scenario was being discussed in the carriage around me. Some of the conversations included gory descriptions about what they hoped might happen to the Israeli population. In other conversations I heard people talk lightly about how in England, gangs of anti-Semites would turn on Jews and what they would do to them. No one was entertaining the possibility of an Israeli victory. Until that day, I had never thought England – bastion of opposition to Nazism in WW II – as anti-Semitic. I realized in the final analysis Israel was the only place in which we could feel secure. But how secure was Israel? I fell into a sad depression. I write these memories to remind you and me that far from being taken for granted, victory in the Six-Day War, was not a forgone conclusion. In fact religious and secular Jew alike knew that it would take a synthesis of Divine miracle and military genius to emerge victorious. Few people at that time were confident in either Divine miracle or Israeli military genius and most thought that at best it would be a lengthy and very bloody battle. This is why Yom Yerushalaim, the 28th day of the month of Iyar – this year falling on May 17th, is so important a day of thanksgiving. But the battle was quick; the victory stunning. We lost too many brilliant young men but nothing like the numbers feared. Hardened secular soldiers joined with religious men and women in prayers of thanksgiving. There was a sense of having been part of a biblical-like miracle, of having been led by the hand by God, and deep, unified national pride in the country and its military. This atmosphere was still palpable when I returned to Israel after a year of study in England to resume my learning in Kefar Hassidim. The military camp outside Haifa was no longer there. I explored parts of the Old City of Jerusalem that until that time we could only see from observation points in Israeli-Jerusalem. I could pray at the Western Wall amid the rubble that had not yet been cleared to make way for the plaza that is there now. Before the Six-day War there was no point in Israel from which the Western Wall was even visible. I could walk down Jaffa road right through the place where previously there had been a four-story brick wall separating the two Jerusalems and obscuring the majestic sight I could now enjoy of the ancient walls of old Jerusalem at the end of Jaffa Road. I never imagined before, how close the old city was, just a stone’s throw away from the Barclays Bank building at the bottom of Jaffa Road. So close, but unreachable. Why did God intervene so vividly in 1967? To preserve a sanctuary for Jewish people to flee to for safety from persecution? Perhaps. But I have to believe it was for more than that too. Israel can and should be the Or Lagoyim – the light unto the Nations. Israel is not perfect, but it has fought its wars for survival with more care for the saving of lives on both sides than any nation in history. It risks the lives of its own in its efforts to spare the lives of innocent civilians on the enemy side. This tiny country and young nation is consistently the first to arrive at disaster scenes anywhere in the world with the biggest and most well-equipped teams to help. As recently as two weeks ago, Israel sent 267 Defense Force medical professionals to help the victims of the Nepal earthquake. Israel leads the world in technology innovation finding cures for illnesses and ways to improve lives. Agricultural water-usage innovation from Israel has the capacity to save large parts of the world from drought and famine. Her hospitals treat patients from around the world including some from neighboring hostile Arab countries. So why is Israel’s Or (light) not penetrating the lenses of the media and the corridors of international power? Israel is criticized and maligned even for the very humanitarian work it does. Nothing Israel does is seen through a generous – or even just an honest – lens by the world media and by many of the world’s leaders. Increasingly, Israel is being pressurized to accede to “solutions” that would guarantee her demise. I think back to my 1967 train ride through the English countryside. Would most of the world be happier if Israel just ceased to exist? Would ridding the world of the Middle East problem (perceived to be the existence of Israel) more than compensate it for the loss of the Israeli contribution to civilization? But this is a rational question, and the world’s growing intolerance for a Jewish State – like anti-Semitism – is an emotional issue, not a rational one. Emotion cannot be countered with reason. Emotion can only be countered with emotion. Anti-semitism is hate. Hate must be countered with love. But not love for those who hate us. Rather, love for ourselves. If we want the world to show Israel a little more love, we, the wider Jewish community both in Israel and in the Diaspora, must show more love for Israel. This is what is emotionally different about our relationship to Israel now and in 1967. Then, we were passionate about Israel, we loved her with her blemishes and her greatness from the depths of our hearts. We were willing to give our lives for Israel and she certainly commanded our hearts. Today we think of Israel as an intellectual, economic or political idea, not a beloved partner in Jewish destiny. Jewish liberal thinkers and writers criticize her with abandon and a harshness that is unbecoming of a nation in love with its homeland. We are no longer in love with Israel; at best we admire her. How can we expect others to love us if we do not love ourselves? Jewish self-hatred has reached epidemic proportions especially among our youth on university campuses around the world. The world takes its lead from our own public criticism of the land we profess to care about and amplifies our own negativity. Remember this time 48 years ago. We nearly lost Israel. We could lose Israel now. Not to Arab military strength but to mounting Western political pressure. Fall in love with Israel again, adore her, obsess about her, criticize her gently and support her passionately. Defend her in public and social debate as you would defend your own beloved. Become intolerant of those who malign her as you would be intolerant of anyone who maligned the woman you love. The battle for Israel is about emotions now, not reason. It is about love not debate. Engage with Israel, adore her; proudly flaunt your love for her. She will radiate her graciousness back at you and the world will watch in wonder.